When people see signs of a water leak, such as buckling floors or water dripping from the ceiling, their first instinct is to repair the problem where they see it. It is important to know that water can travel for 20-30 feet before emerging and that the entire path of travel needs to be dried out. Failure to do this can result in denied insurance claims down the road as well as causing environmental hazards such as mold. Don’t delay, call a professional. 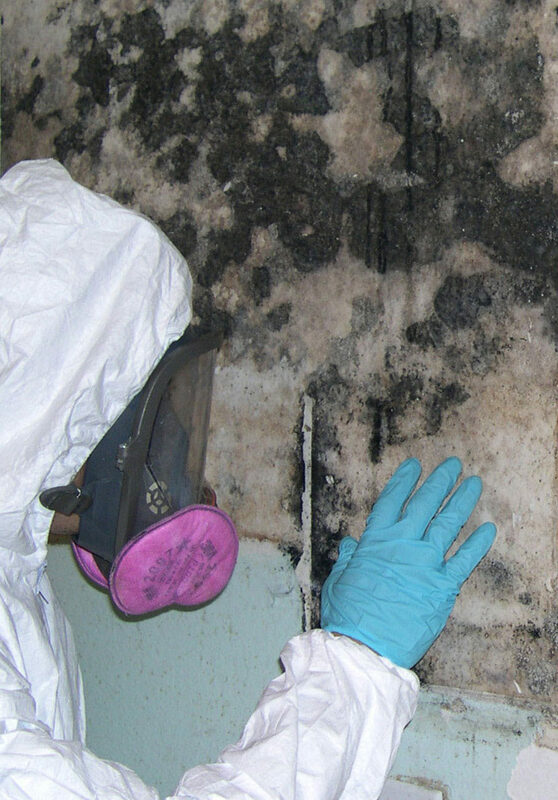 Mold growth is hazardous to your health and must be dealth with as soon as possible. We will inspect the damage, apply treatments, and ensure that the mold does not return. We use HEPA filtered equipment, protective gear, and anti-microbial chemicals to remove any traces of mold from your property. We will then assist you in compiling a list of repairs so that your claim can be handled quickly and fairly. Below is our step-by-step Mold Remediation Process. After receiving a call or e-mail from you, we will schedule an appointment, usually the same day or next day. When we arrive, we will inspect the problem and determine a course of action. 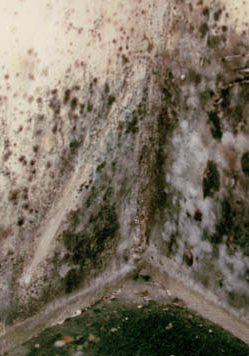 Mold thrives in environments with elevated moisture. We will inspect your property, identifying any areas with such moisture levels so that we can address the issues and prevent further growth of mold spores. We will set up containment barriers to prevent cross-contamination and physically remove any visible mold growth, treating all affected areas with anti-microbial chemicals. We will use HEPA filtered vacuums and Air Scrubbers to remove any mold growth from the air inside your property, ensuring that no regrowth occurs after the remediation. After remediation, all areas are reinspected in order to ensure that no elevated mold growth remains so that re-growth does not occur. Proper Restoration LLC will issue a list of recommendations and items to be repaired to assist you in resolving the restoration portion of your claim as efficiently as possible. Upon project completion, we will sanitize all areas and clean up after ourselves. we will compose an invoice, detailing all of our services, with photographs and diagrams. We will communicate all information to you and to your insurance to help you resolve your claim quickly and fairly.